Please don’t miss this event to commemorate the Miners’ Strike. 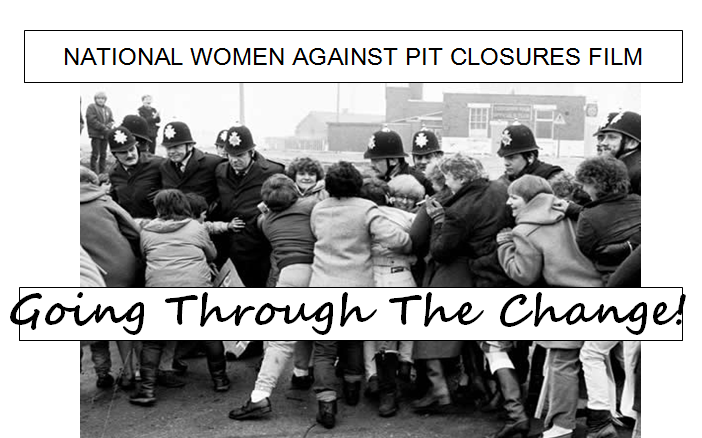 Plus a viewing of the inspirational Anne Marie Sweeney film for the National Women Against Pit Closures – GOING THROUGH THE CHANGE. 4:00pm – 6:00pm – film screening of We Are Not Defeated and a Q&A with Jim Dowling (President of NUM Power Group), Bridget Bell (North Staffs Miners Wives Action Group) and Paul Mackney (Former UCU President). 6:45pm – 8:15pm – Burning Issues, in which Banner Theatre re-visit the striking communities they visited in 1984 to celebrate in song, music and video their historic struggle to examine its enduring significance today.